Registration is now OPEN for the entire 2019 Tournament Schedule!! Paper Entry Forms can be found via the links to the right. Online Registration is available via the link below. We are excited for another year of great events, host courses, and strong competition! The Spring Best Ball at Kaufman Golf Course on May 4 & 5 is also open for sign-ups. Contact Kaufman GC directly at (616) 538-5050 to register & schedule your Saturday tee time. Cost is $150 per team with optional skins game each day. Don’t forget to familiarize yourself with the new USGA Rules of Golf for 2019 in preparation for the season! 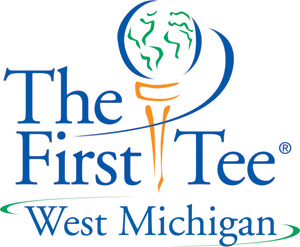 We are proud supporters of The First Tee of West Michigan with a portion of every tournament entry fee going towards an annual donation to our local chapter. For more information on The First Tee’s efforts to introduce golf and values to local junior golfers and how you can get involved as a supporter or volunteer, click the logo below! Click Here to visit the website and read the latest monthly newsletter covering things like Golf Travel, Amateur/Junior Golf, Course Architecture, among others!